Barbara Jane Harvey was born May 8, 1948 in Elizabethtown, NC. Barbara was the fourth of six children born to the late Luby and Hannah Harvey. Barbara was a 1966 graduate of East Arcadia High School in Riegelwood, NC. After graduating, Barbara ventured to New York in pursuit of new opportunities. Barbara worked for Peck & Peck and Bellevue Hospital in New York City before joining the United States Postal Service in 1980. She retired October 31, 2009 from the Postal Service after working for 29 years. Barbara loved the Lord and at a young age accepted Christ. She joined World Overcomers Christian Church of Durham, NC and served as a greeter for years and she later became a Mother of the Church. 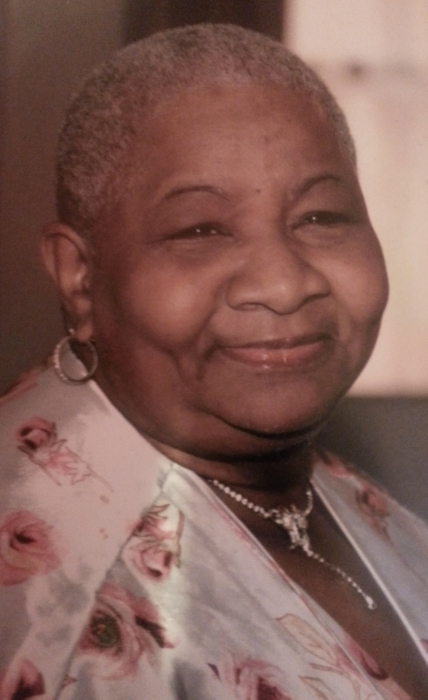 Barbara departed this world on January 31, 2019 at the Hock Family Pavilion Duke Homecare and Hospice of Durham, NC. She was preceded in death by her parents Luby and Hannah Harvey of Council, NC, goddaughter Cheryl Spann Glisson of Rembert, SC, and oldest sister Louise Armstrong of Council, NC. Barbara is survived by her beloved children Eric (Kysha) Harvey of Annandale, VA and Elemit (Chantel) Morris of Durham, NC; One grandson Evan of Durham, NC and one granddaughter Jazmaine of Greensboro, NC. Barbara leaves to cherish her memory, her brother Pastor Luby Harvey (Denise) of Council, NC; Three sisters Teshie Hicks of Cleveland OH, Gertrude Spann (Bobby) of Rembert, SC and Judy (Donnell) Hatcher of Council, NC; brother-in-law Leo Armstrong of Council, NC; Two aunts Eunice McKoy and Dwella Evans of Baltimore, MD, one uncle Garfield McKoy of Baltimore, MD; Three nieces, including a goddaughter Pastor Nyoka Elaine (Aaron) Everett, and five nephews, including a godson Bobby Spann Jr., and a host of cousins and friends. The Harvey Family extends special acknowledgment to Barbara’s caregivers, Elaine Witworth, Vivian Geater, Lillian Presley and Vandi Kelly. A Glorious Life and Legacy Celebration will be held on Thursday commencing with a public visitation from 11:00 until 11:30am at World Overcomers Christian Church in Durham. At the strike of 11:30am, the formal Triumphant Farewell ceremony will come forth. Following the order of worship in the sanctuary, Ms. Harvey’s delicate temple along with her adored family, will be escorted to the New Hope Community Cemetery in Council for Interment Rites. For so many years, Barbara served people whether in the workforce, as a greeter or the Mother of the church while working in the vineyard for Christ. Now she has heard the Master say “ you’ve been faithful, you’ve been true and you’ve done all you could do and for your Faithfullness.....It’s YOUR TIME”. The Compassionate Professionals of Majestic Funeral Homes both in Elizabethtown and Riegelwood are working in conjunction with our colleagues at Holloway Memorial Funeral Home of Durham, to comfort the Harvey and connected families during this hour of bereavement.